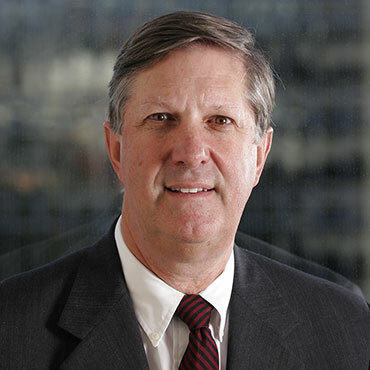 John Lange began his practice of law in 1976 at Andrews & Kurth in Houston, where he became a partner in 1984. He then practiced at Broocks, Baker & Lange, where he was the managing partner. In 2000, John joined Jackson Walker, where he was an equity partner until 2004 when he left to co-found a hospital development management company. John has over thirty years of broad commercial and corporate experience in providing legal advice regarding all types of business transactions, including partnership and project joint ventures, venture capital, securities offerings, acquisitions, financings, financial restructurings and workouts, and general contracts. John's clients have included private equity and venture capital firms, small business investment companies, large privately-owned middle market companies, small private companies, and individual entrepreneurs and businessmen. He also represents healthcare providers such as hospitals and surgery centers. In addition John has successfully completed reorganizations of two Hospitals in bankruptcy, one acting as a Chapter 11 Trustee, and one as the CEO of the hospital' management company. John's broad range of corporate and finance legal experience enable him to bring creative and effective solutions to many legal problems and business transactions. John's business management experience provides him with a unique insight that enables him to understand the businessman's perspective and need for practical workable solutions. John received his Bachelor of Science degree from Massachusetts Institute of Technology in 1973, and his Doctor of Jurisprudence degree from the University of Texas at Austin in 1976. In 1994, he also completed a one year program sponsored by St. Mary's University School of Law and the Universidad de Monterrey for a select group of U.S. and Mexican lawyers providing training in the legal systems and business cultures of both countries. John is admitted to practice in the State of Texas; is a member of the State Bar of Texas and its Corporate Law Section.